There used to be a time in American cinema when a movie could come out and play in a theater for months before being pulled out of screens. Theatrical distribution was the main exploitation window from which filmmakers and studios could make their money. But with the advent of home video and then video streaming as additional exploitation windows, the theatrical distribution window has shortened and shortened. For many this is not just an economic issue, this is also an aesthetic issue as many cineastes point out that the big screen is the "truest" way to experience a movie. But studios and distributors have to deal with a dwindling movie audience that prefers to stay at home than go out. So, what to do? "DirecTV’s Home Premiere is currently screening some recently released movies on VOD just 2 months after theatrical release. The latest movies offered include Warners’ Sucker Punch, Fox’s Diary of a Wimpy Kid: Rodrick Rules and Sony’s Battle: Los Angeles." In an open letter, the National Association of Theater Owners has slammed this and has gotten high profile signatures opposing DirecTV in this. 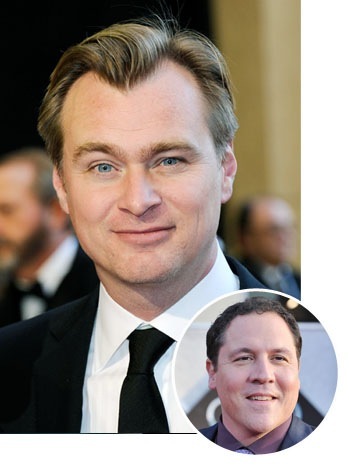 "Christopher Nolan and Jon Favreau are among the latest posse of directors opposing a new premium VOD service backed by Warner Bros., Universal, 20th Century Fox and Sony. The Inception and Iron Man directors are joined by Quentin Tarantino, M. Night Shyamalan and David Dobkin, along with The Hurt Locker scribe Mark Boal and producer Jim Cardwell, formerly president of Warner Home Video." James Cameron has been the most prominent of these signatories. "When first learning of the premium VOD plan, some exhibitors -- including biggies AMC Entertainment and Regal Entertainment -- retaliated by amending their in-theater advertising policies. Regal went so far as to cut down the number of trailers it would play from Fox, Disney, Universal and Warners." "Sources say the four studios have been working overtime to repair relations and that their efforts may be paying off. Still, both sides decline to comment." It can't just be aesthetic reasons that directors are joining theater owners, right? (Although, I do think it is a part of it.) Could it also be that directors who tend to get a percentage of their box office gross from the theatrical distribution window might be getting cut out from the VOD window? Or at least can foresee that as a possibility down the road. And if that's the case then they will be rightly concerned that a closer VOD window to the theatrical window could affect their bankroll. After all, big shot directors and stars aren't getting the big cuts from the gross that they used to get as recently as a couple years ago, anymore. If the trend towards a closer VOD window proceeds, then directors will surely be negotiating their contracts with a focus on adding a bigger share of the VOD.